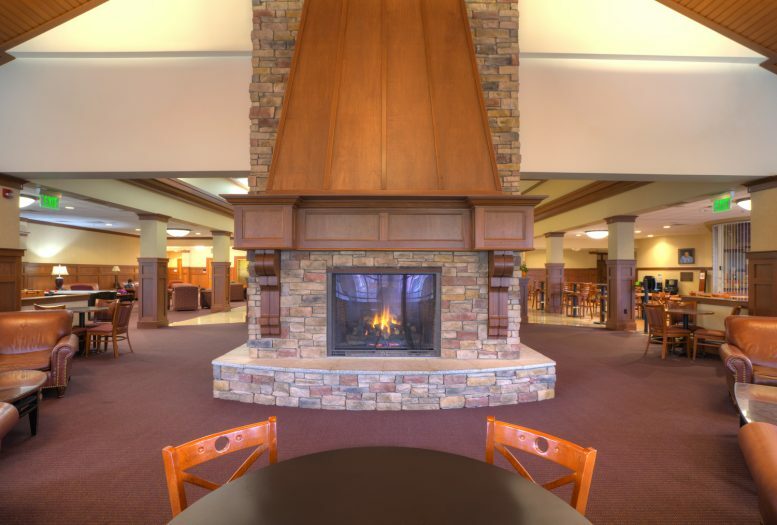 The William L. & Berniece E. Grewcock Student Union serves as a true campus community center for this private college in western Michigan. 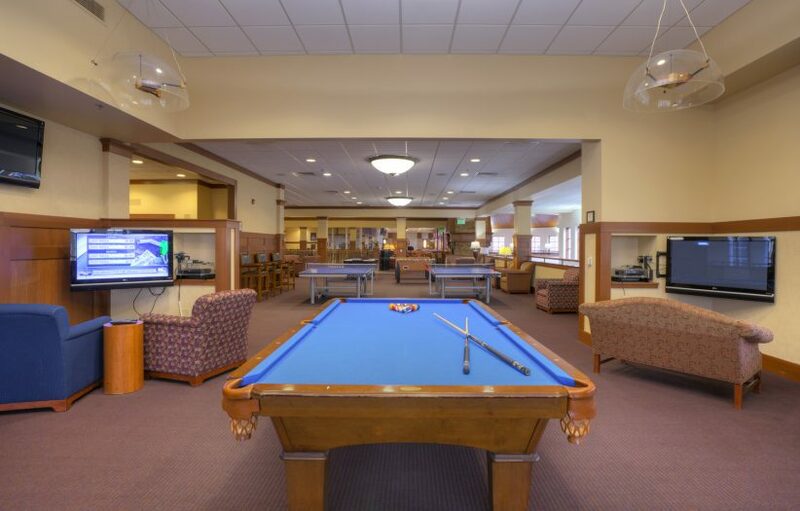 The Union provides students with living, dining and recreation spaces that complement the functions of the nearby dormitories. 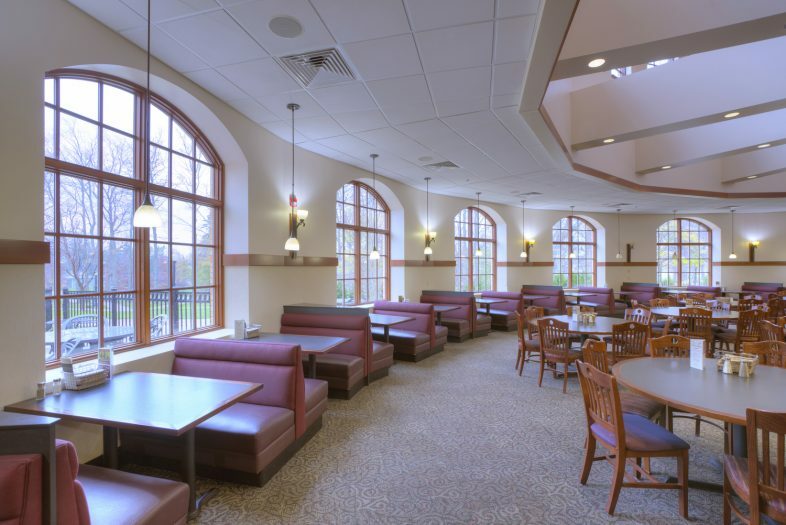 The lower floor has a walk-out patio, and the majority of that level serves as a new student dining hall. 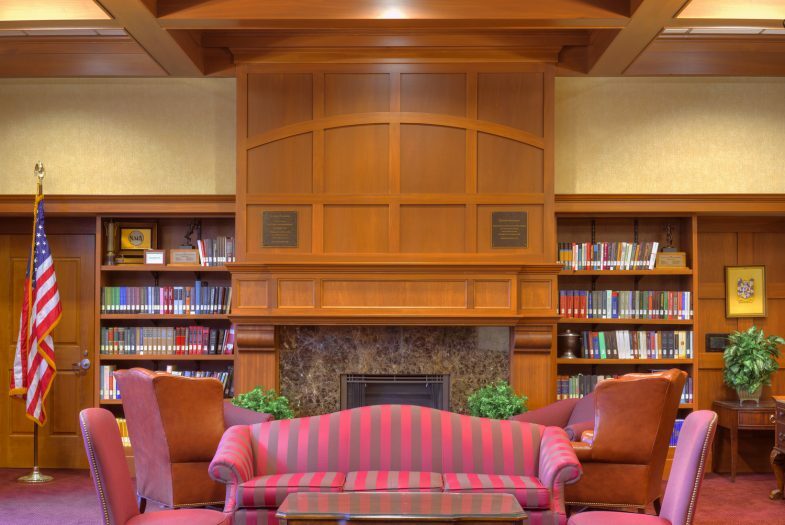 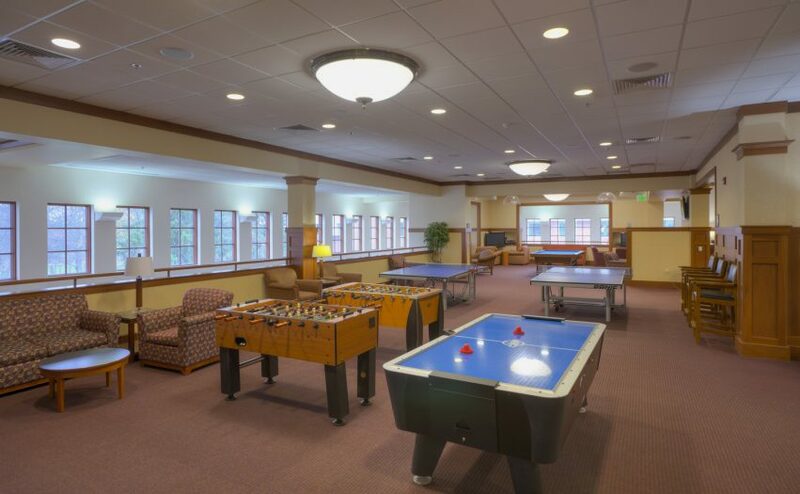 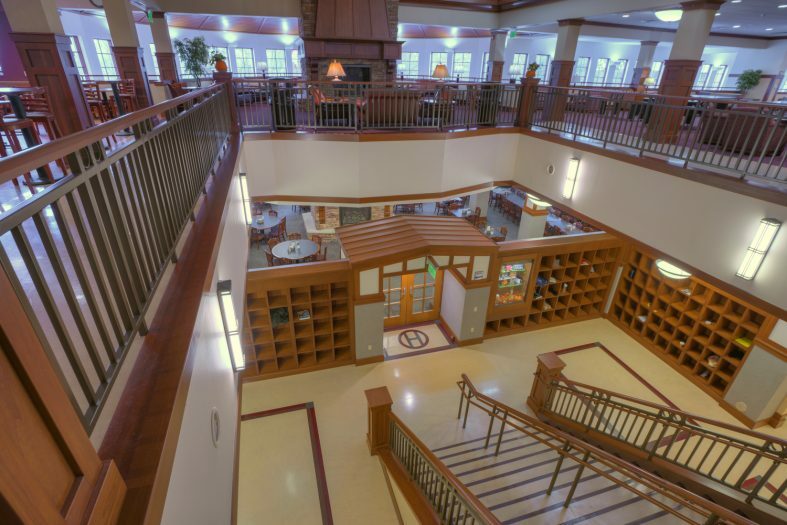 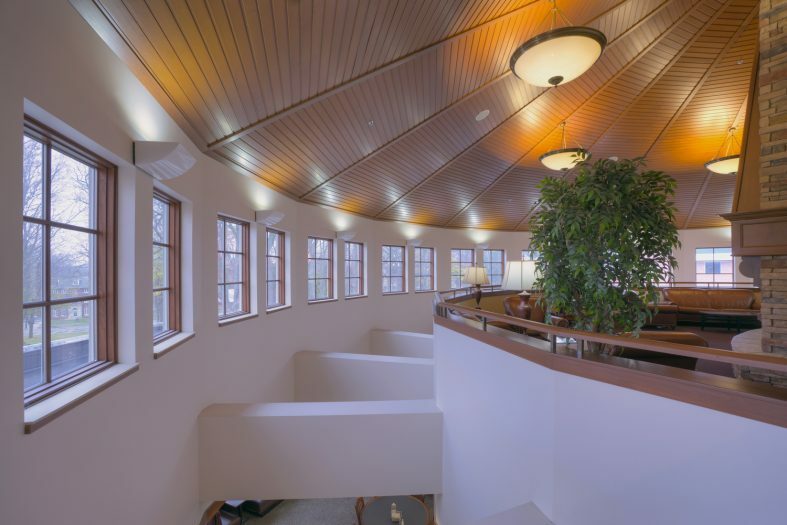 The upper floor houses the campus bookstore, offices for publications and student organizations, a formal lounge, and a variety of recreation and comfortable lounge areas. 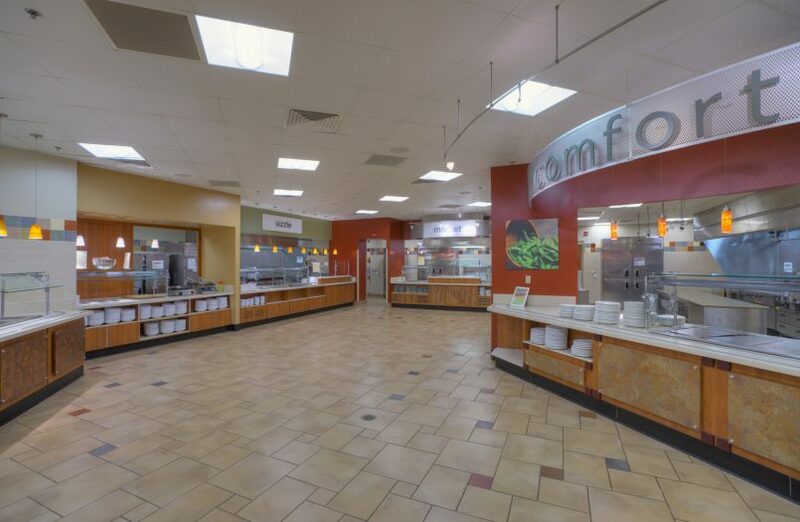 There is also an extended hours food venue and cyber café. 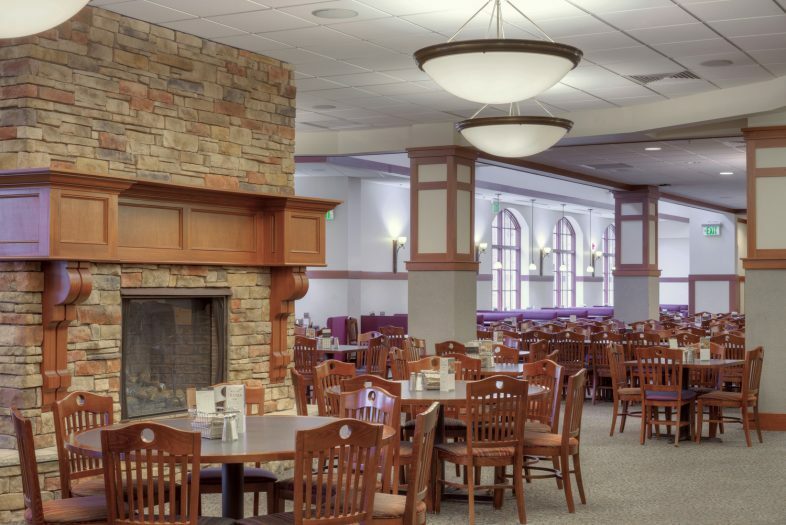 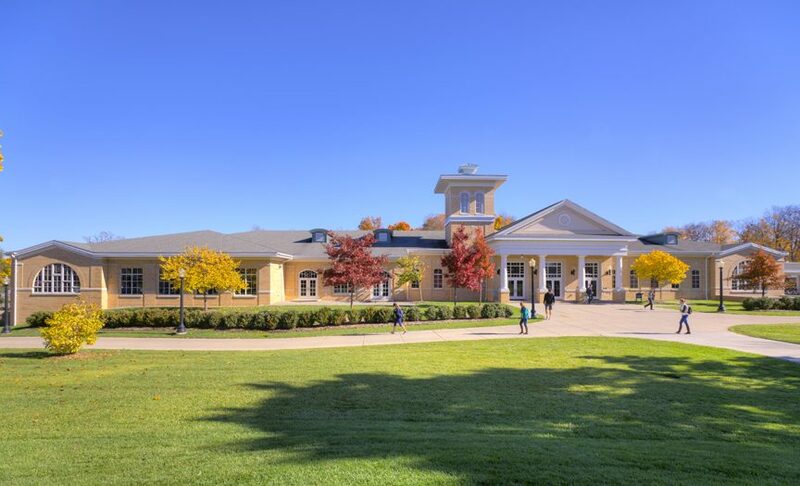 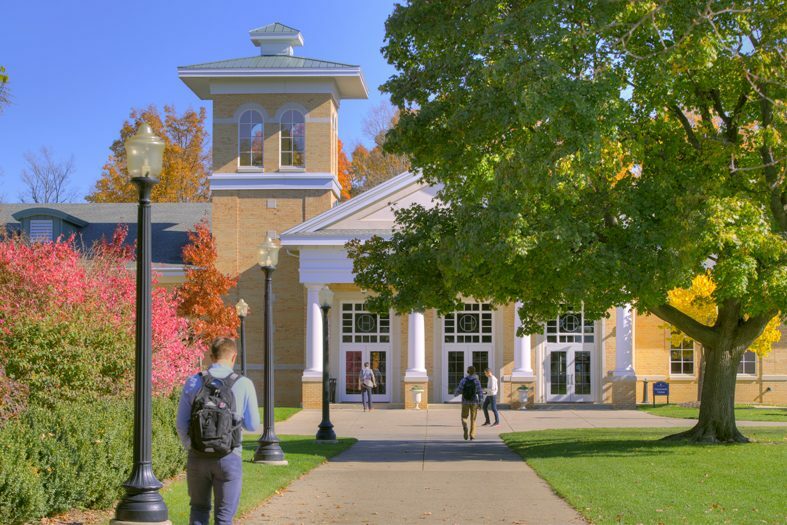 The design of the building maintains the traditional character of the campus, complementing Civil War era buildings’ traditional masonry detailing, window styles and pitched roofs. 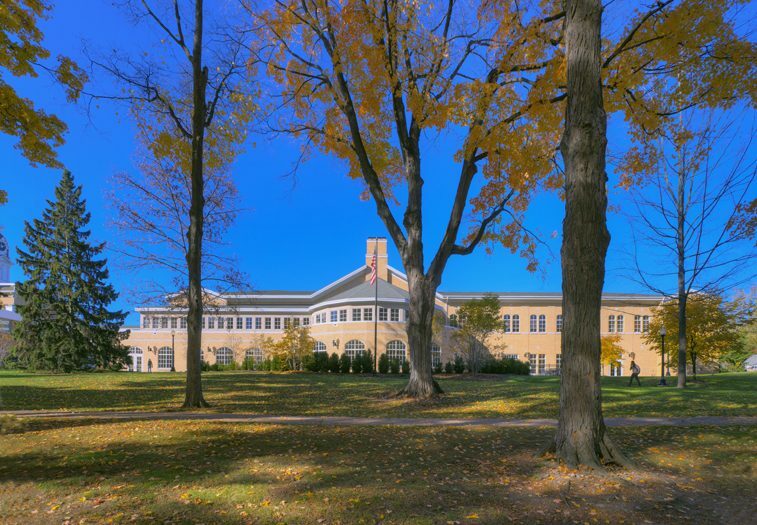 Along with the removal of an aging classroom and office building, the Union restores the original college green, or quad, and makes historic Central Hall the campus focal point.